A radio station in Charleston, SC had an opening for a producer. An individual who was looking to transition from another career into sports radio thought it would be his perfect entry. He told the employer, “If I can have just five minutes of your time to deliver my resume, I’ll stop by on Thursday.” He did stop by. The employer spent several hours with the candidate. That afternoon, he accepted the job offer before heading back home. Home was Los Angeles, California. Dude traveled cross-country because he understood the advantage of letting an employer attach a person to the paper. You have two primary options for trying to meet an employer in their office. Having an appointment is always better than stopping by unannounced. Tell the employer you’re in town for three days. It doesn’t matter if you’re not – tell them you are. It makes it harder for them to use “I’m busy” as an excuse not to see you. If your purpose is to follow-up an application, tell them. If you want to introduce yourself for potential future opportunities, take the indirect approach. Telling the employer you want to ask about a job will turn them off. Instead, ask for their advice for your job search, request a station tour or seek their thoughts on industry issues. Whatever you do, DON’T ask for a job. Request just 10 minutes. It indicates that you’re respectful of their time. If they like you, they’ll give you more. 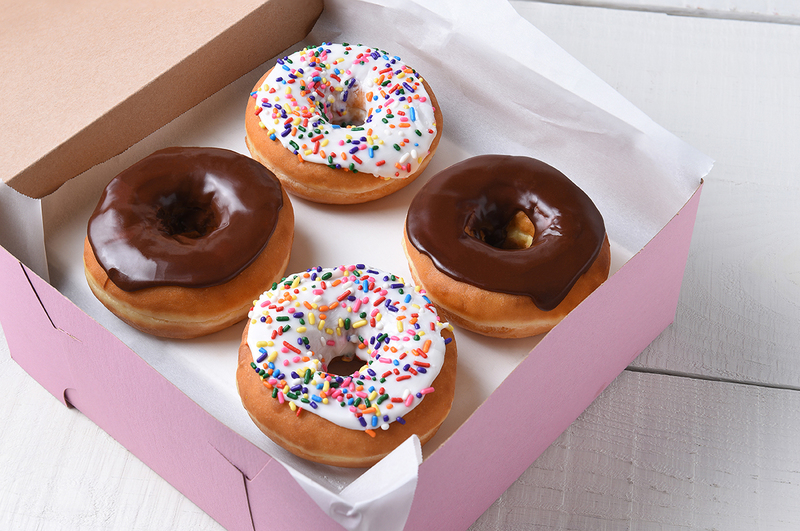 A box of donuts with your resume inside is a great way to get in front of employers. If you are unable to schedule an appointment, stop by unannounced. Here are two tips and two creative ideas for maximizing your chances. Call the station to be sure the employer is in. If the employer can’t see you immediately, wait in the lobby. All day, if necessary. He’s got to come out sooner or later. They’ll be incredibly impressed by your determination and patience, or they’ll think you’re a creepy stalker. The potential payoff is worth the risk. Bring a box of donuts. Tell the receptionist you must personally hand them to the PD. Slip your resume into the box. Give flowers to the receptionist. She’ll be more eager to help you in your quest. By the way, the aggressive job seeker who flew from LA to the East Coast continued working his way up through the industry. Eventually, Jonas Knox ended up back in LA as a host on Fox Sports Radio Network.